Gives you maximum control while routing, jointing, and ripping. Non-marring rubber bottom uses the same high-friction rubber surface found on our Patent Pending Bench Cookie™ Work Grippers. Got what I was asking for. These Bench Dog push blocks really grip well like the online demostration shows. I can make continuous passes over the jointer knives when flattening boards. This help in not having ripples or burns on the boards. Simply won't slip on any type wood. Rockler is my "go to" provider. My original push blocks that came with my jointer were worn out so I decided to replace them. I really like the larger push blocks that I received and they are a pleasure to use. 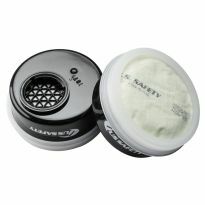 Must have piece for safety equipment - beffy and solid! They work great. My old ones were worn out. These were upgrade for the 'free' push blocks with a basic joiner . They are solid feel and make pushing wood through much easier. I bought 2 of these and wish I had done so sooner. 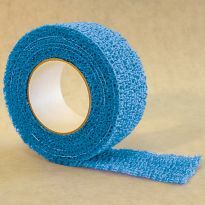 They grip well as long as you keep the rubber like surface clean. Makes it much safer passing wood though the table saw. I have some of a different brand that do not work as well. Works great and arrived on time. I would recommend it. I have been putting off buying these for a really long time. They went on sale so I bought 2 of them. It was a good thing I bought them because I started building a built in linen closet and I had to cut a bunch of 1/2 plywood down to size on my table saw. They worked great and I wish I had bought them a long time ago. Very nice. Handel is angled nicely to force the material tight against the fence. I bought these to replace the set that came with my jointer after the rubber became hard. They are a definite upgrade and work very well. Works just as expected, provides a safer more comfortable grip. Especially when doing a large job on router table. Bought another of the Bench Dog Push Blocks to use on the jointer and the bandsaw. Easy to use and adds safety to the procedure. The design of these push blocks is very comfortable. I’m able to hold the wood very securely on my table saw and jointer. Yes I would recommend this product to a friend. the push block works very well on my table saw and keeps my fingers away from the blade. These push blocks work great for holding my work piece when using my jointer. 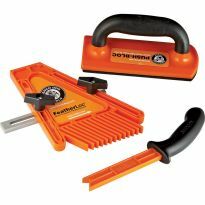 Safety is first in any shop these help keep hands and fingers away from saw blades. Does it's job without even thinking, every time. Glad to have it. Simple design. Adds a good level of safety when using my table saw. Additional safety is worth the inexpensive price of this tool. 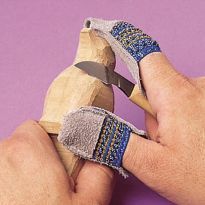 Helps to grip your work while cutting or drilling. Great for use on my table saw and it really does not slip like others do. Love it! I was pleasantly surprised at how well it actually grips the wood...I had my doubts. Excellent wood pusher, it doesn't slide at all. Handle is sturdy, thick enough to provide good gripping and is also ergonomic. I like the angled handles and weight. I have used other push blocks and they are just too light. I use these for my jointer and table saw. I would recommend these to anyone looking for a good push block. Good size, good feel, good grip. Ask me again in ten years and I'll tell you how long it holds up. AWESOME gripping power. I've purchased 2 and tossed out all of my old ones. Very sturdy. Nice to use. 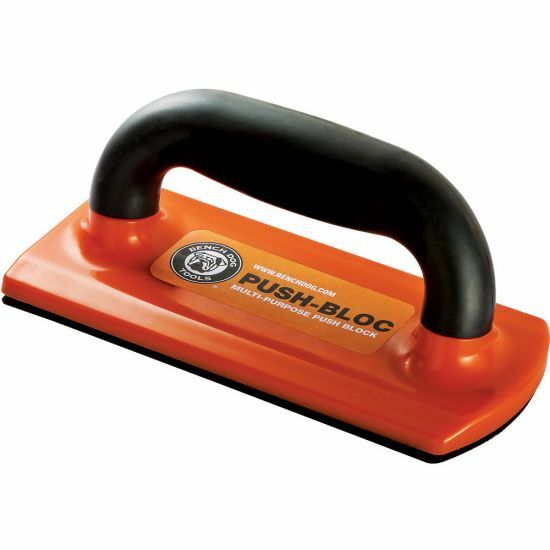 This is my second purchase of one of these my other push blocks were starting to loose the rubber pad. So, I needed to replace them. I decided on the Bench Dogs do to the size of the push surface. I’ve had this for a long time now. I’ve used many different versions of this type of push block. However in the end this is the one I always go to. The size is just right, the offset angle is just right and the grip is just right. I would definitely buy this product again. 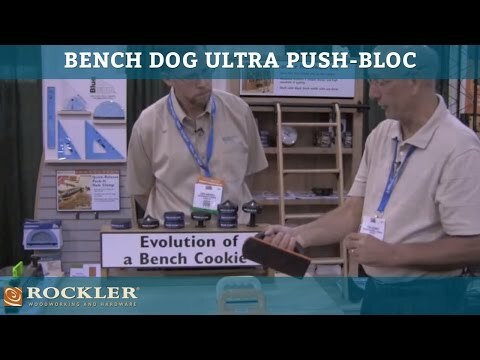 I really Like the Rockler Bench Dog Ultra Push-blocTM. 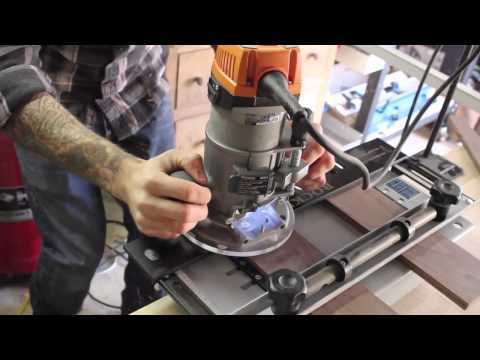 Its inexpensive and really is comfortable to hold and it really grips the workpiece. I initially bought one to "try it out" Then I bought a second. Five-Star performance! It literally saved my hand . Well made! I was convinced by the demonstration video that this product does the job of gripping the material well. Better control while pushing wood into saw blades. Have used before and they are great to use. This is the most gripping push block I've used. Purchased to replace worn out same push blocks (gripper surface worn out). Love the comfort of these PB's, the angle of the handle and the size of them. Saw them on Stumpy Nubs YouTube video and he recommended. I switched to these bench dog push blocks from a brand that is far more expensive and these are the greatest I've ever used! Looks like a good bloc that won't slip. Good quality cost effective push block. Looks like a quality piece and I needed one. Can never have to many. I REALLY like my fingers! Everyone needs a pair of these. And all 10 fingers. Original blocks received with Powermatic joiner are worn out. I have one of these and it works GREAT. I needed another one for long boards. Eventually would like to get the grrr gripper but didn't wanna drop that kinda cash now. Seen the pic of the bench dog with the cut through it and and the caption " saved me". Got a project coming up requiring some good time on the table figured it was worth it. Haven't used them but they look like they'll do the trick for awhile. 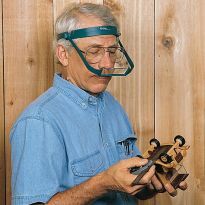 My brother-in-law helps me with tool ideas for my husband! To keep my fingers safe. where can you get new rubber for the bottom of the block ? What is the type of plastic used in manufacturing process of the Bench Dog push-block? BEST ANSWER: Don't know the name of the plastic but it appears to be the same as the desktop telephones were made from. What are the length and width dimensions of the rectangle surface? BEST ANSWER: Width = 3.5" Length = 8" - except this is rounded on one edge. The length is 8" in the middle but only 7.5" along the long edges.